The 10 Best RV Trips To Take In Nebraska - Must See! The Midwest is the RVing capital of the world. Sweeping plains, wide-open roads, and rolling hills make up much of the landscape here, promising a peaceful, relaxing drive. Nebraska is a Midwestern state that also lies in The Great Plains region. It’s quite unique in its geography; Nebraska is the most landlocked state in the nation. To reach a major body of water, one would have to travel through no less than three bordering states. Needless to say, there’s a lot of land to explore in the Cornhusker State. Whether you’ve just bought an RV from one of the best RV dealers in Nebraska or you’re renting one, it’s time to gas up the rig and head to one of these top road trip destinations. 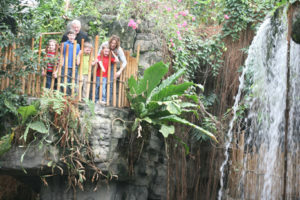 The Henry Doorly Zoo is a massive zoo on the eastern edge of Omaha, close to the banks of the Missouri River. So massive, in fact, that the Lied Jungle section is the largest indoor rainforest in the world. It’s a habitat for pygmy hippos, monkeys, macaws, and dozens of other species that are native to the rainforests of the world. Jungle trees tower above, standing as tall as an 8-story building, as free-roaming animals traverse the treetops and the forest floor. As you walk through the rainforest path, you’ll see native plants and animals that represent the diverse ecosystems of Asian, African, and South American rain forests. The Lied Jungle isn’t the only thing to do here, either. The zoo has roughly 130 acres of exhibits and garden space, with thousands of plants and animals from around the world. A butterfly and insect garden, Orangutan Forest, aquarium, and the world’s largest nocturnal animal exhibit are just a few of the Zoo’s many features. There’s also an IMAX theatre on the grounds for when you feel like taking a load off and watching a movie in the most epic way possible. Prepare to spend an entire day or two exploring! Price: Rates vary by season. Click here for info. Horseshoe Casino RV Park is the closest to the zoo, just across the Missouri River. They can accommodate RVs up to 45 feet in length, and each site comes with electrical and freshwater hookups. This is by far the most convenient RV park to the city. If you’re looking for something a little more scenic, though, you might want to check out the Walnut Creek Lake and Recreation area in St. Papillion. You’ve heard of Stonehenge, now get ready for Carhenge, the American replica of the monument. Constructed solely out of old cars, this quirky landmark is a comment on industrial America…or is it? 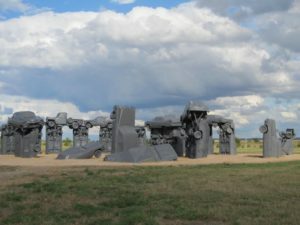 The creator, Jim Reinders, built Carhenge as a memorial to his father in the late 1980’s. But just like the ancient monument of Stonehenge, the true “meaning” of Carhenge is open to interpretation. Over the years, several other sculptures have been built near the site – there’s lots to see here. Don’t forget to bring your camera for this one! We always like to include a few off-the-wall destinations on our top ten lists, and Nebraska is full of them! The small town of Monowi is your next stop. And when we say small, we mean extremely small. The nation’s smallest town is home to one – yes, one – resident. 150 people used to live in this tiny town in the 1930’s but moved away in the hopes of forging new lives. By 2000, Rudy and Elsie Eiler were the only residents left. Rudy passed away in 2004, leaving Elsie to hold down the fort on her own. 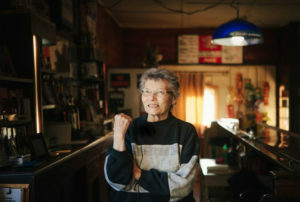 If you want to meet her, stop by the Monowi Tavern and grab a drink at the town’s only business. You can also visit the small library she established in honor of her husband. Or, just relax and have a chat with Elsie about her duties as the town bartender, librarian, and mayor. Talk about wearing different hats! Website: No website, but you can read a wonderful article about Elsie and her life in Monowi here. Niobrara State Park is a beautiful campground just a few minutes’ drive from Monowi. It sits on the banks of the Niobrara River and offers sweeping views of the valleys and woodlands surrounding the area. There’s a wide array of outdoor activities here, too, including horseback trails, fishing, hiking, and community cookouts in the summertime. The park offers both primitive and RV camping. Rates start at $6 per day for Nebraska vehicles and $8 per day for out-of-state vehicles. Okay, one more weird stop before we move onto more “traditional” destinations. Johnson Museum of the Odd is exactly as the name implies. You’ll find everything from a collection of doll heads to underground comic books. You’ll need to make an appointment to visit though; the museum is run by Charlie Johnson out of his private home. 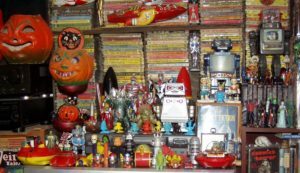 His vast display of oddities is the culmination of a lifetime of collecting. Johnson’s home is in a residential district of Lincoln, so don’t forget to check out some of the other sights the city has to offer. During the warmer months, you can visit the Sunken Garden to see themed flower displays at one of the top-rated gardens in the United States. If it’s indoor fun you’re after, you can visit one of Lincoln’s many, many museums. Or, grab a refreshing craft beer and a bite to eat at one of the local breweries. Camp A Way is a premier campground that’s convenient to downtown Lincoln. They’ve been a top-rated RV park for more than 50 years. Notable amenities include an indoor spa, heated pool, family games and toys, and a large dog park. They offer full hookups and free cable and WiFi in their spacious campsites. Rates start at $50.21 per night for a standard site during peak season. If you’re looking for something more affordable, you can check out this list of RV parking in Nebraska. Our next stop takes us back to Omaha to the historic Old Market District. 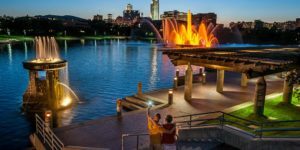 This beautiful public space features several attractions, including an impressive 320-foot water jet and light show. The Lewis and Clarke Interpretive exhibit is an educational and fun way to pass the time, and kids will love checking out the WWII and Airborne Memorial Sculptures. Best of all, there’s a small pond on the grounds offering authentic, Venetian Gondola rides! While you’re in Omaha, don’t miss your chance to get a Reuben sandwich at Crescent Moon, voted the state’s best Reuben in 2016. Of course, you can’t visit Omaha without exploring Old Market. You’ll find retail boutiques and shops, pubs, art galleries, bakeries, and much more in this historic neighborhood. Plus, it’s right across the street from the Heartland of America Park, so it’s not too far out of your way. Price: Free, though Gondola rides are $10 per couple and free for kids under 12. Visit the place of the last major Native American battle between the Sioux and Pawnee tribes. In August of 1873, the Pawnee tribe set off on their annual buffalo hunt under the promise of protection from the U.S. government. However, the promise was not fulfilled, and the Pawnee were attacked by the Sioux tribe at the head of the canyon. They fought back fiercely but were eventually trapped at the lower part of the canyon. Roughly 69 Pawnees were killed, including women and children. 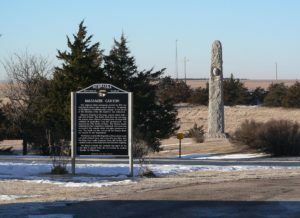 The faces of the Pawnee Chief and the Sioux warrior, John Grass are carved into this 35-foot tall granite monument. There’s also a local visitor center with historical information, a collection of books, and a gift shop. Spend your night dry camping among the souls of the slain Pawnee and Sioux warriors, if you dare. There are plenty of places to park and stay the night just steps from the monument. No hookups, of course, but there is running water and a few pergolas for picnicking. If you’d like something a little more civilized, head north to Eagle Canyon Hideaway in the nearby town of Brule. They offer more than 12,000 acres of wooded areas for hunting, an onsite lake for fishing and swimming, and miles of hiking trails. Amenities include a general store, an in-ground pool, a rec room, and full hookups and WiFi. Rates start at $35 per night for a back-in spot. Scotts Bluff is a natural landmark that’s guided travelers for hundreds of years. Native Americans and travelers on the Oregon Trail used this massive geological formation as a marker for their trails. 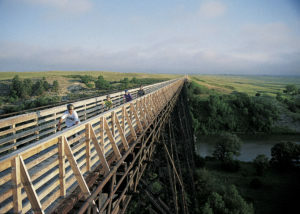 It stands a whopping 800 feet over the North Platte River, making it impossible to miss. Summit Road will take you on a 1.6-mile scenic drive to the top of the bluff, where you can take in views of the stunning Platte River valley below. Hiking trails are scattered throughout the park as well, so you can do a little exploring of your own. 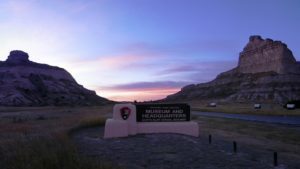 History is still alive at Scotts Bluff; there are rangers throughout the park dressed in period clothing, who will answer questions about their designated character and life during that time. Ranger-led programs and seasonal guest speakers will teach you about the geology and history of the park. The park museum has a small collection of permanent and rotating exhibits. Price: $5 entrance fee valid for seven days. There’s no camping on the grounds, but there are two campgrounds nearby. Riverside campground has 43 pull-through sites with full hookups and free Wifi starting at $25 per night. Amenities include disc golf, a playground, fishing ponds, and a bathhouse. Robidoux RV Park sits at the base of the monument and offers full hookup sites with panoramic views of the bluffs and surrounding landscape. Rates start at $33 per night for full hookups and cable. Valentine may be a small town, but it’s packed to the brim with things to do. This quaint town lies just north of the picturesque Niobrara River, in the northern section of Nebraska’s Sandhills. The region is full of anomalies, including the largest tract of sand dunes in the Western Hemisphere, one of the largest aquifers in the world, and a stretch of the Niobrara River that was designated as a National Scenic River in 1991. But astounding natural beauty isn’t the only thing Valentine has going for it. Cowboy Trail also runs through Valentine before crossing the Niobrara River with a ¼-mile long railroad truss bridge. There are several museums and historical landmarks in the area too, including the Arthur Bowring Ranch, Fort Valentine National Wildlife Refuge, and the reportedly haunted Centennial Hall Museum. The Prairie Club and the Niobrara Valley Vineyards offer a more upscale experience for those seeking a day of luxury. What better place to camp than right on the border of town? Valentine City Park offers 40 acres of camping, hiking, and outdoor recreation. The park is surrounded by mature Oak trees and has a creek running through the property. The neighboring pond offers fishing, boating, and swimming. There are restrooms and showers on site, as well as a playground and disc golf. Dry camping only; $5 per night. If you’re just passing through, you can check out one of the other RV parks in Nebraska along the Niobrara River. About 12 million years ago, a large volcano in southern Idaho erupted, filling the sky with ash. Northeastern Nebraska was in its wake, as ash fell from the sky and covered much of the grasslands there. As the wildlife inevitably began to die out, the bodies were buried under ash, preserving their skeletons in the layers of sandstone. 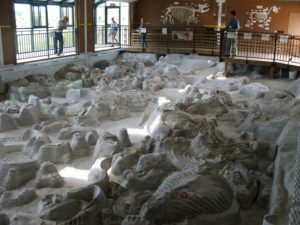 Today, Ashfall is the resting place of hundreds of prehistoric animals. Their skeletons provide evidence of their last moments alive, and some even have recent meals in their stomachs and mouths. There are twelve different species of mammal skeletons in the park, including horses, camels, deer, dogs, and rhinos. Price: $7 per person. You must also have a valid Nebraska Park Entry Permit to enter. Bruce Park Campground is just up the road and offers full hookups for $15 per night. According to the Visit Nebraska website, the park includes tennis courts, sand volleyball, and a heated pool on site. Willow Creek Recreation Area is also nearby, a beautiful park with wooded spots on the shores of the lake. 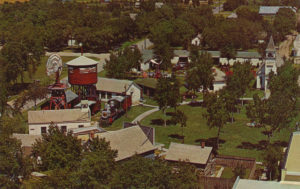 Pioneer Village is a large grouping of buildings that sits on more than 20 acres of land. Each of these building holds historical treasures within, like antique cars and tractors, art collections, a steam-operated carousel, and so much more. There are over 50,000 items divided up amongst the buildings, all completely resorted and organized based on chronology. Even many of the buildings themselves are historic, including the Pony Express Station, a general store, a sod house, a blacksmith shop, and a one-room schoolhouse. There’s plenty to see here, so make sure you set aside a full day for exploring. Don’t worry about going hungry, either; you can stop by the historic diner for a sandwich and a cup of coffee. Price: $14.25 for adults, $7.25 for kids ages 6-12, free for kids 5 and under. Pioneer Village has its own campground just a few minutes north. The campground is wooded and has 135 spacious sites, many of which are shaded. It offers primitive, water and electric hookup, and full hookup camping. Rates vary but average about $35 per night. The Great Plains of Nebraska are anything but plain! From exploring ancient rock formations to viewing displays of authentic Americana, a Nebraska adventure will take you on a tour through history. With so many natural wonders and roadside attractions, it’s no wonder that Nebraska is a great state for a road trip. And, if you don’t own an RV, there are plenty of RV rentals in Nebraska, too! Happy Trails!